Too many times I’ve been in conversations with women who have specific things they want in a man. Like I’m talking about a whole laundry list. I use to say to myself dang she wants a perfect person. Now we all know that nobody is perfect. So why do “we” as women do this to ourselves? I think it’s because we do sometimes live in a fantasy world. I say this because as a child I loved Fairytale movies, and I always said to myself I want my Prince Charming and that Happy Ending. I still believe in this, we should all be able to marry someone we love and I’m talking flaws and all. It’s not unrealistic to have expectations. But to think a person should have EVERYTHING on your list is kind of a bit too much. What do you think? My Husband is not perfect but he’s perfect for me. Be with someone who encourages you, wants the best for you, that’ll be there for you no matter what. A man that will be there in your times of need literally in sickness and in health, a man that is committed to only you (monogamy), a man that will provide for his family, a man that places God first and then his family. I can literally go on and on, but those are things that are the most important to me. God has blessed me to be in a relationship that is NOT PERFECT, but with every imperfection comes strength. Some days I don’t really want to be bothered, I’m stubborn, and I’m passionate about whatever I believe in. I’m a Taurus I know I’m not that easy to deal with and I have traits that may drive him crazy. But he loves me with all my imperfections. I can’t ask for anything more than that. If you have a list I want you to sit back look at your list, and then re-evaluate what you’re bringing to the table as well. Are you going to be that supportive wife, monogamous, invested in the marriage, are you ready to love all his flaws, are you on the same page about kids and religion? Those are the real questions that need some answers. Let me know in the comments your thoughts or experiences. This is an open forum. This is a good post and something to think about. I’ve only been in one serious relationship (we’ve known each other since we were 17, dated for 4 1/2 years, went our separate ways, and now we’re back together again lol). But in the very beginning of our relationship I expected so much out of him because that’s what I thought I should have… the “perfect man”. But now I realize he will never be perfect, he will still piss me off sometimes, and we BOTH have flaws. I’m sure I have those days where I aggravate the mess out of him. However, we both want the same thing for the future and we are perfect for each other and that’s all that matters! Absolutely Maddy, once we realize we are all flawed it;s a lot easier. I’m not saying to settle but I believe working on a relationship with someone who is working back is amazing. Wow, Tiff. This is a great topic. I am one that had the list of expectations. I’m the one who wanted the ideal man. If I say this once, I’ll say it twice. When I let God give me what he had in store for me. That’s when I received my gift. We’re not prefect, we get on each other nerves at time but that’s ok. We have a united union. We work together and keep God at the center of our lives. We should make and keep God at the center and things will happen in your favor. Amen Nessa that’s exactly how I feel. God is 1st then all things are to follow. Great topic! I too have a ton of single friends. From what I’ve seen, some want exactly what you describe, “The Perfect Man”. Others on the other hand have what I believe are crazy deal breakers like “Oh he must be 6’1” or “he must have a college degree”. I also ask my friends “so you are willing to pass up on your future husband if he’s not 6’1”? Like what happens if a 5’9” man meets all of your needs and love languages and makes you happy, you’re not going to give him a chance because he’s not taller than you!” LOL! I relate to you with not having the perfect man or marriage, but he’s perfect for me. I’ve been married for 12.5 years and all I can say is thank God! We need more conversations like these. This is a great post Tiff! I have been married for 15 years and I can certainly attest to learning to love each other flaws and all. I hear some people make mention about what their future mate needs to bring to the table and my thoughts sometimes are like …”Boo you don’t have yourself together yet lol…Why does he have to have so much to be perfect for you when you are imperfect yourself?” How about growing together? Is that not a possibility anymore? I’m not saying settle but some of these women are outrageous with what they are looking for. You are so right once we come to the realization that we are ALL flawed then we can stop putting these expectations on relationships before they even manifest. You ruin them before they even start. You are looking for everything you want when it might not be what you need. ALSO….. I can’t STAND when people say I want a marriage or relationship like so and so. YOU HAVE NO CLUE what so and so went through to get to where they are in their relationship today. Do NOT mirror your relationships after other people. What works for them may not work for you and Vice versa. Pray and ask for guidance on where GOD wants you and your significant other to be and LISTEN for your answer. Sometimes its not what we want to hear though LOL. Hey Danni, my sentiments exactly. It’s not going to be easy but when you love someone unconditionally it just feels purposeful. I love honest post like this. Relationships definitely aren’t easy… It’s two people from two worlds coming together. So happy for you guys that no matter what you allow God to be in it and direct y’all. 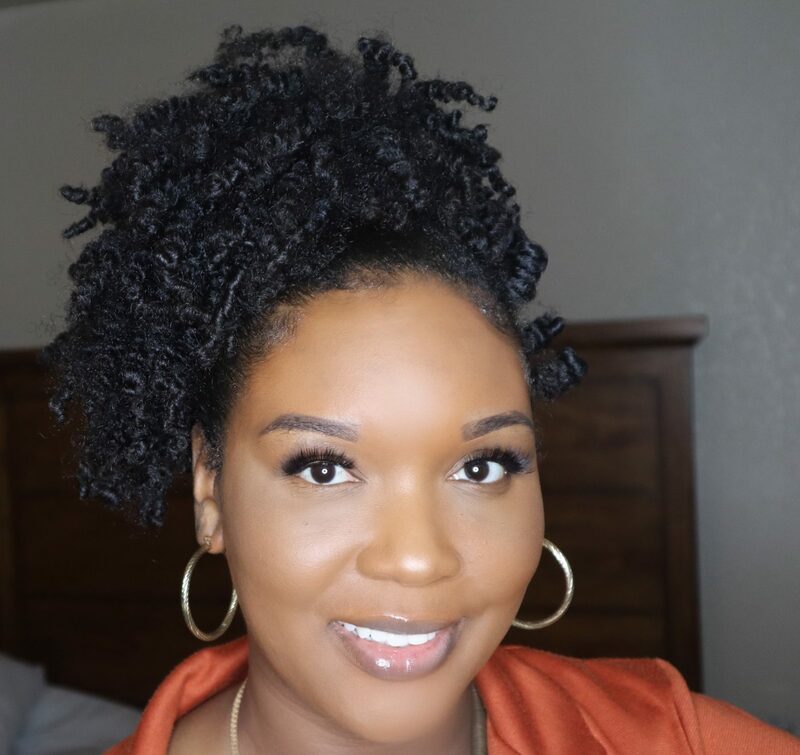 Hey Family my name is Tiffany and I love all things Natural Hair, Beauty, Lifestyle and Family. I hope you can find a lot of information that interest you. Join me on this voyage.